Transatlantic collaboration, sequel to the well-received, yet regrettably rare first part of 2005. Erotomechaniks II is a dark ambient delicacy in seven parts, all very concise tracks with a defined structure, never getting lost in sound as such. It was after his occult pop masterpiece Lashtal Lace in 2014 that Mikael Aldén aka Coph Nia felt a certain creative drain, so obviously he turned away from the song structures and emotional range of said album and sought to return to what is his own roots as well as his shared history of dark ambient industrial with USbased artist Mindspawn: Gene williams is a recognized multifaceted visual and musical artist, as much a seasoned producer (active since around 1980) as he is obscure. The combination of these two creative minds makes for the special tension of their collaborative work. 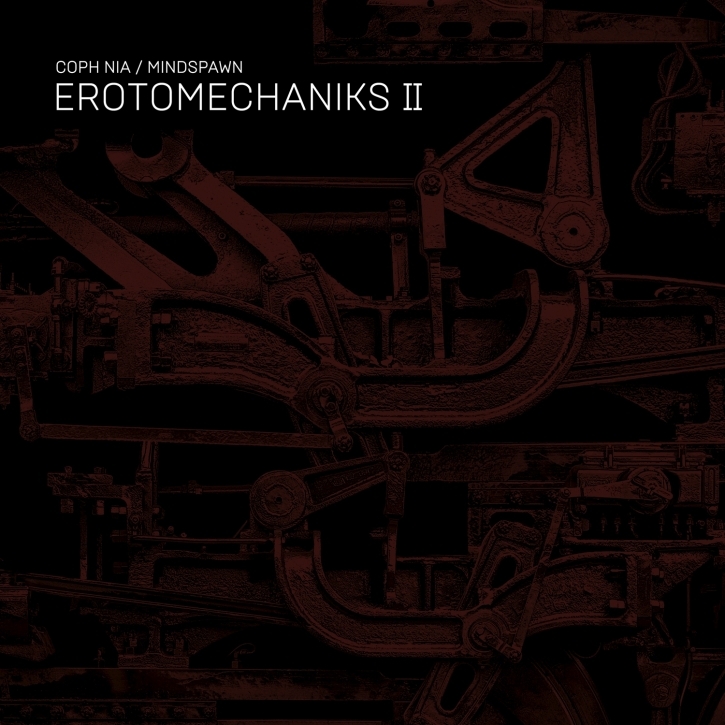 Erotomechaniks II is perfectly balanced, with the industrial sounds never pushing towards overt aggression, and the human sounds! A prime choice for the dark ambient massive!